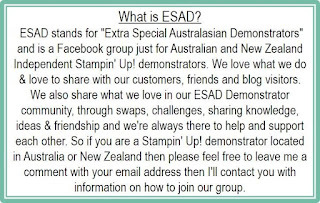 Welcome to the ESAD 2017 Retirement List Blog Hop. It is always both sad and wonderful when the Retirement List is announced each year. It means that we have to say goodbye to some of our favourite products, but it also brings us joy. We are excited as we anticipate all the wonderful new products coming in the next catalogue. 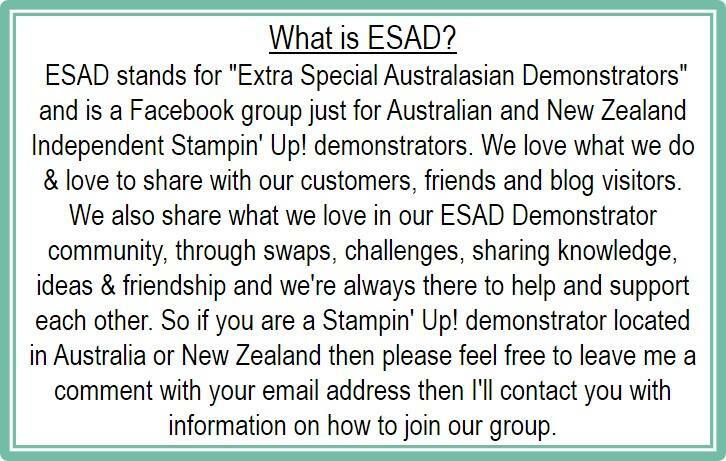 So join us as we celebrate all the wonderful items that need to go to make room for some new stuff. I am sure you will find some wonderful creations as you make your way around the blog hop. For my creation today, I used the gorgeous Flower Patch stamp set and coordinating Flower Fair framelits. I also snuck in a bit of Gorgeous Grunge, another set that I am sad to see retiring. I hope you like what I have created. I have used this set a lot and no matter what you do with it, the project always comes out beautiful. Make sure you come back and check out what else is retiring here, but first you need to pop over to Kirrkie's blog to see what amazing projects she has made. If you get lost along the way, I have included the complete blog hop list below. Stunning Narelle! Love those colours together, so going to miss this set and it's dies. Such a lovely card. I love the soft colours you have used, and to top it off Gorgeous Grunge! Aww Flower Patch I love this set and will be sad to see it go - I love your card. 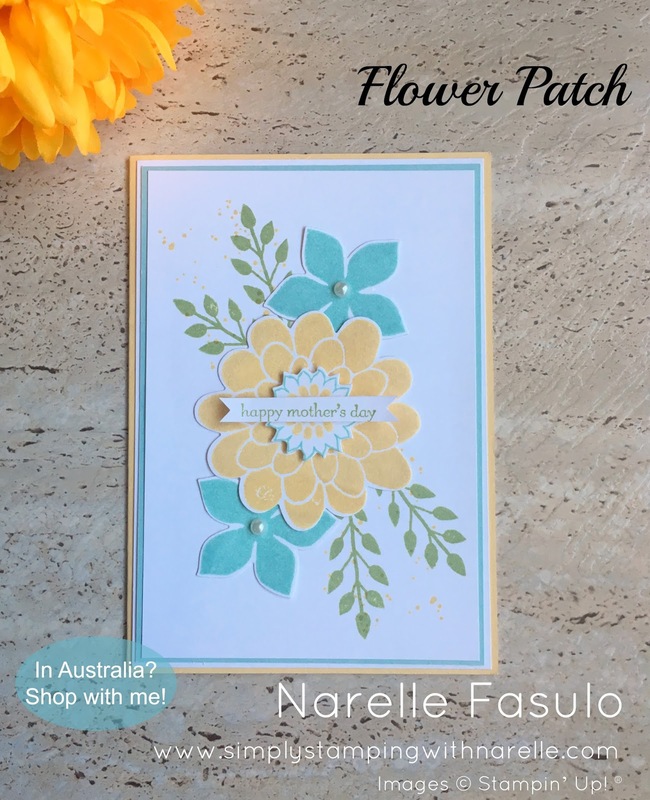 Gorgeous card Narelle! I'm loving that colour combo, it really sings. Lovely card Narelle ! Your use of those gorgeous colours make it bright and happy and I'm sure the recipient will love it ! Flower patch is one of my most fave flower sets! I love your beautiful card with it! I love the colours you have used, it's such a pretty card. So sad saying goodbye to 2 faves! Love what you have done with them - a fitting last send off! Lovely card. Pretty colours. I am sad to Gorgeous Grunge to go too. That set will stay in my private collection. I love this colour combo perfect with these florals. I will miss this set. Gorgeous Narelle ... love that colour combo too!